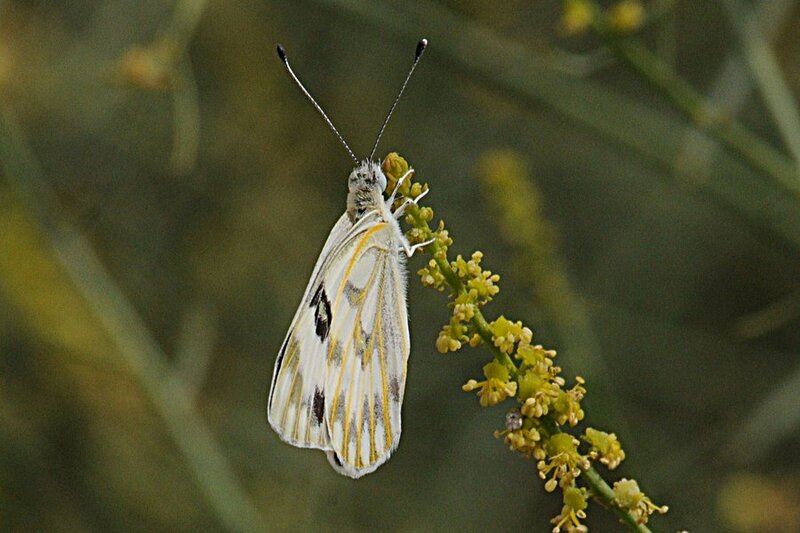 The range of the Desert White (Pontia glauconome) is quite extensive and goes from Somalia north to Libya, in Africa and east to Arabia and Central Asia including Iran, Afghanistan and Pakistan. In the Eastern Province of Saudi Arabia this species is found almost anywhere where rocky outcrops occur, particularly on rocky plains and hills around Dhahran, Al Khobar and Al Hassa Oasis. It favours rocky wadis and areas and surrounding gullies preferably with the perennial Cruciferae or Brassicale Zilla present. 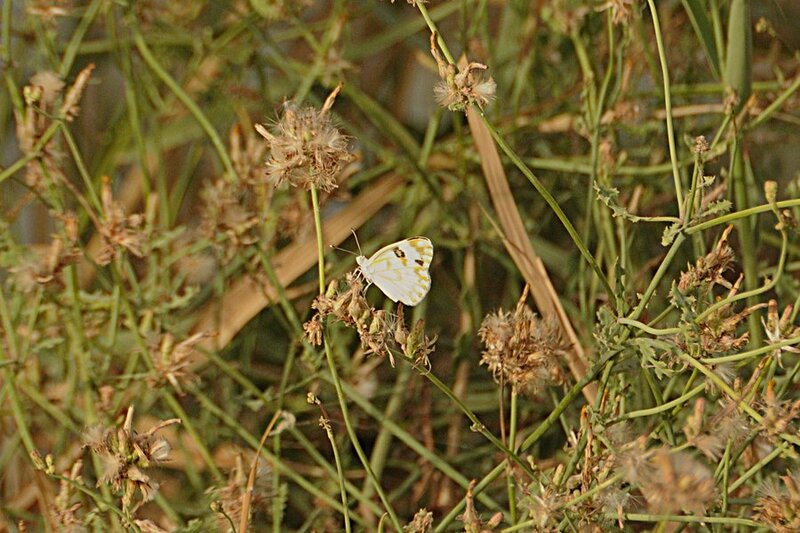 The Desert White is a very fast, zig-zagging low flying species often settling on Cruciferae flowers or other vegetation. It is relatively common from early March to early December in a multitude of overlapping broods which differ from area to area depending on the rains. This year the poor rains have limited the early broods and only now are they being seen with some regularity. The Desert White is variable especially with regard to the amount of ‘green’ pigmentation on the underside which can be very heavy to almost absent. This variability can be large and can even occur between generations.